Everas Employment Services promotes inclusion of people with disabilities in the workforce through prevocational activities, supported and competitive employment. In our social enterprise department, Everas pursues partnerships for the primary purpose of creating jobs for people who are blind and visually impaired. Our Switchboard Operations Program, IRS Mailroom and Company Store Program employ people who are blind and visually impaired as telecommunication specialists, mailroom associates and sales associates respectively. This year, during Disability Employment Awareness Month, Everas nominated our own Carlos Sanchez for the Peter J. Salmon Award, sponsored by the National Industries for the Blind. Carlos who works part time for Everas as a Telecommunication Specialist at the VA Hospital in East Orange, also maintains a full time job as a Technological Services Specialist at the New Jersey Commission for the Blind and Visually Impaired. 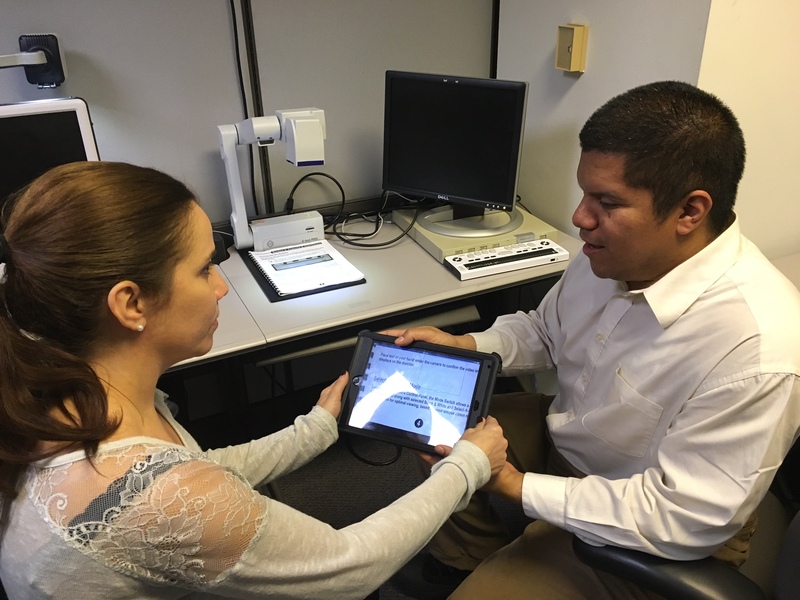 Carlos is an advocate for himself and other employees who are blind, and his solution-oriented focus makes him a natural leader in the workplace and among his peers. As part of his mission to empower others, Carlos developed a user integration outline that details the processes and settings to set up an accessible computer from scratch while avoiding common mistakes. Carlos would like to become a certified JAWS trainer and ultimately a supervisor or training coordinator, so that he can help more people who are blind increase their efficiency with technology. Carlos had the opportunity to attend the #NoLimits NIB/NAEPB National Conference and Expo in September in Virginia. The conference included a welcome networking reception, a product expo with over 100 exhibitors, keynote speeches by government and industry leaders, an Awards luncheon and banquet for the Employees of the Year from NIB associated agencies, extensive training tracks and even a cruise on the Potomac River. Carlos celebrated his birthday at the conference and all gathered to sing for him. We are proud to have Carlos on our team. He possesses varied skills and interests in the technology sector and advocates for peers who are blind and visually impaired based on first hand experience and insight. 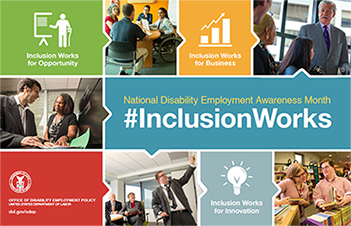 This combination of skill and understanding truly demonstrates the value of diversity in the workplace in the spirit of Disability Awareness Month. For more information about Everas Employment Services, please contact us. For resources pertaining to Disability Employment, visit the Office of Disability Employment Policy.